Ronald J. 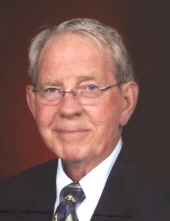 “Ron” Anderson, 79, of Hudson, died Sunday, April 7 at the Deery Suites at Western Home Communities in Cedar Falls. He was born March 11, 1940 in LaPorte City, son of Estle and Agnes Marshall Anderson. He married Clare Nichting on May 18, 1968 in Houghton, Iowa. Mr. Anderson was a veteran of the United States Army and served with the Army Security Agency in Europe. He went on to work for NASA on the Apollo Space Program. After returning to Iowa, he became involved in banking for many years and was a co-owner of Cedar Knoll Mobile Home Park, retiring in 2001. Survived by: his wife, Clare of Hudson; two sons, James (Adriane) of Potsdam, Germany, and Ryan of Sacramento, Calif.; two granddaughters, Alex and Ingrid Anderson; three sisters, Evelyn (John) Wright of Waukee, IA, Carolyn Hackett of Colorado Springs, Colo, and Cathey (Jack) Petersen of Waukee, Iowa, and two sisters-in-law, Joan Hunold of Montrose, Iowa and Marlene Nichting of Burlington, Iowa. Preceded in death by: his parents, a brother, Richard; three brothers-in-law; Harold Nichting, Harold Hunold and Alfonse Bentler, and two sisters-in-law, Mary Anderson and Barbara Bentler. Memorial Mass will be 10:30 a.m. Friday, July 19 at Blessed Sacrament Catholic Church with inurnment in Mt. Olivet Cemetery, both in Waterloo. Full military rites will be conducted by the Iowa Army Honor Guard and The Waterloo and Evansdale AMVETS. Public visitation will be 4-7 p.m. Thursday, July 18 at Hagarty-Waychoff-Grarup Funeral Service on West Ridgeway. Visitation will continue for one hour before service at the church on Friday. Memorials may be directed to the family, Blessed Sacrament Catholic Church and Cedar Valley Hospice. Ronald enjoyed traveling with his wife and sons, to many countries, here in the United States and many far off islands. To send flowers or a remembrance gift to the family of Ronald J. Anderson, please visit our Tribute Store. Guaranteed delivery before Ronald's visitation begins. Guaranteed delivery before Ronald's memorial mass begins. "Email Address" would like to share the life celebration of Ronald J. Anderson. Click on the "link" to go to share a favorite memory or leave a condolence message for the family.